When we first got the router hooked up the way we received it. We found that the old computer did not even have a USB on it. The good news was that the ShopBot software could run gcode, we just needed a way to get it onto the computer. So we set up a computer with xp. That way we can run mastercam and make gcode files. Then a virtual computer is used to run the shopbot software. This way we can make the gcode and run it all on the same computer. The only thing we are missing is end stop limit switches. We have gotten a good response from our PLA survey. We have gotten the ball rolling for buying PLA. There is a big lead time, so we are hoping to start sales the end of February, early March. Thank you everyone for your input and support!!! This is our newish (new to us) CNC Router. Currently it runs old software but we will probably be upgrading it. We are considering adding PLA to our inventory. In order to get PLA at a price that is reasonable, we have to order in bulk. So please fill out this survey and let us know how much we can expect to sell right off the bat. If the number is good enough, then we will proceed sooner than we would have normally. The estimated price is $3.50 per pound of natural 4043D PLA. 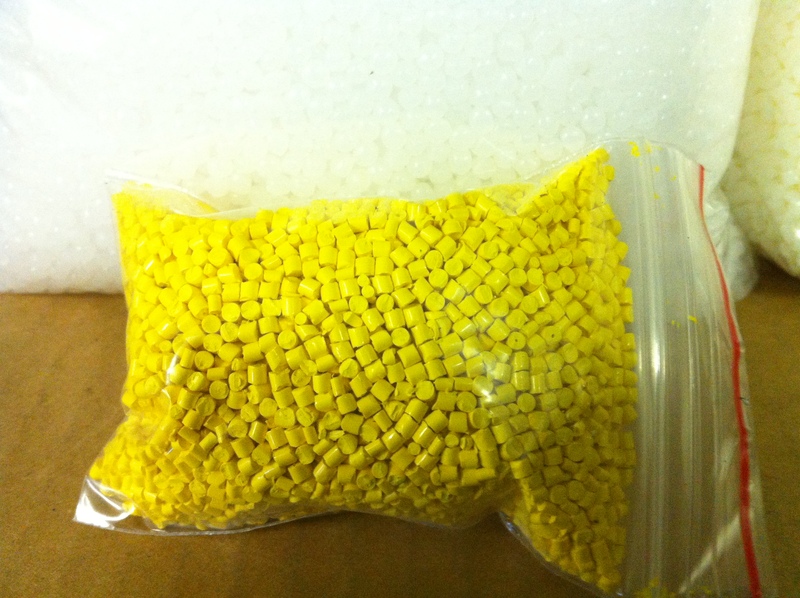 We added Yellow HDPE colorant to our inventory. To celebrate, we are giving away a free 2oz yellow colorant with every order including HDPE natural. This is good till 1/24. Our new Wire EDM gears. They are beautiful and now we can get to making some filament! !